Hi, i'm back. Least some people might thought that i'm back to working overtime again, sorry to disappoint you, i haven't, lolz. 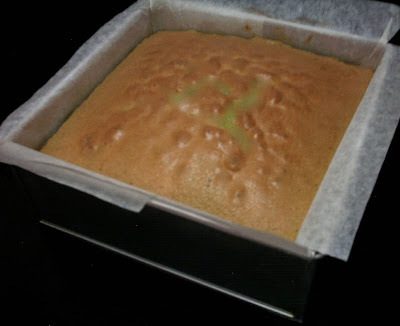 1) I fried some tapioca flour for making kueh bangkits, sorry, no finished product yet because i haven't make. The recipe asked for the flour to be pre-fried before hand - preferably 3 days to 1 week in advance, so therefore, haven't do yet as i only fried yesterday. 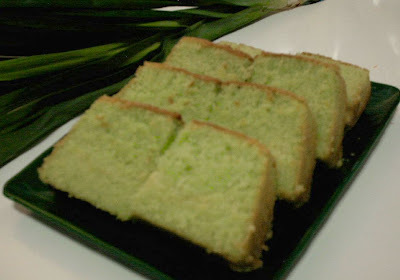 2) I make a pandan butter cake today. 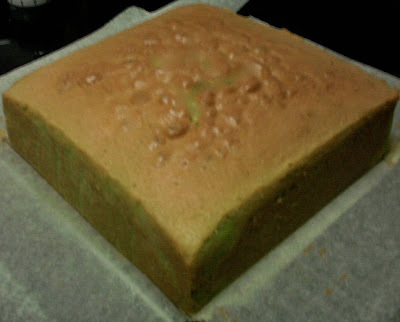 Mmm.... the finished product didn't look presentable, however, the cake is pretty soft - so soft like chiffon cake yet you can get the fullness after eating it, unlike chiffon cake as if you are eating air, never seems to get full. 3) Ta da...... here's my biggest project. I attempted to do a self filming video of me making the CNY deco - mandarin orange DIY. Well, as you can see, the video is horrible. (Uploading this video is already taking me "dino years" to complete it) Therefore, i make a slide show instead. All these needs time to do it. I'm not so good in taking pictures, therefore, this is the best i could produce for now. 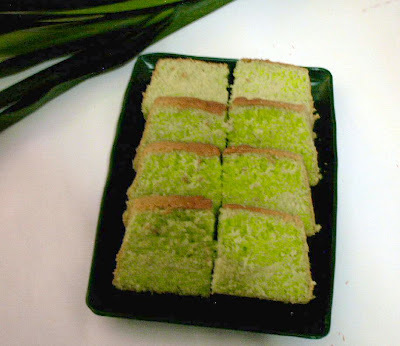 At least you can more or less know how to DIY CNY mandarin orange deco. Hopefully, i would be able to do a proper video in future or at least be able to take better pictures for doing my slide show. For now, please bear with it hah, lolz.